Patio paving is the perfect way to transform your Algarve garden into an extension of your living space for all seasons and all occasions. Whether it’s a family barbecue or party or to simply relax with a book on a warm summer day around the pool, a patio provides a practical focal point as well as adding value to your home. 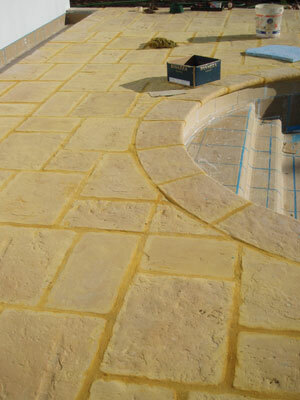 We will provide you with a comprehensive patio paving service. 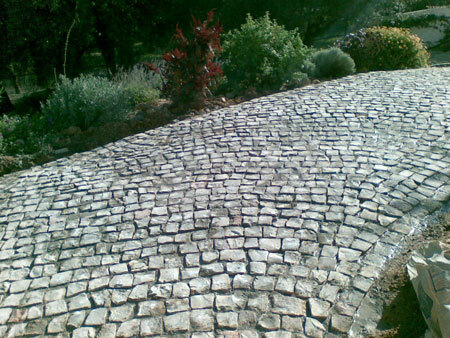 We offer a wide collection of garden patio paving effects including natural limestone, Portuguese “Calçada” limestone cobbles, “Santa Catarina terracotta tiles, Bradstone, glazed tiles and brick. With our comprehensive patio landscaping service we can make your garden patio complete with garden brickwork, pool edging stones, paths and edging to emphasise your personal outdoor living space. All of our patios are paved with pride and with all paving there is a full 5 year structural guarantee.